This is the most random post I’ve ever written, but stick with me, I promise this is going somewhere. I feel led to encourage someone who is struggling or feels stuck. I want to let you know that God is with you amidst your struggle. Something I learnt recently is that God is faithful to us because ‘Faithful’ is who he is. He won’t be God if he is not faithful to us. No matter what you’re going through; it might be lack of faith, you may feel stuck feel in your situation and are losing trust in God. Maybe you are still struggling with the same sin/struggle you’ve been wanting to be free from for a long time, you think you’re free from the struggle only to slip up again, or you think your relationship with God should have grown to a certain degree yet it hasn’t. Whatever the situation is, can I encourage you that there is freedom in Christ? The same Jesus who had his freedom snatched from him and was killed, so you can freely enjoy it even though you are undeserving. He loves you enough to give up his freedom, are you tracking with me? Nothing can ever separate you from God’s love, he loves you regardless of your mess. He chose you to be his despite your struggles and He’ll keep calling out to you, until you open your arms to receive the love he freely gives you. This post comes from a place of gratitude. This past week, I neglected my bible and avoided praying for silly excuses. It was a feeling I hadn’t felt in almost a year and I panicked that I was losing my connection with God. I almost started isolating myself from his presence, feeling unworthy. I thought I had taken 10 steps forwards, only to take 30 back. Despite the lies I was feeding myself, God’s hand was on me, he kept reminding me of my identity in him, and nudging me back into his presence. I could have felt disconnected, but he wasn’t letting me do that. He put sweet thoughts in my head that I know weren’t coming from me. He sent friends to encourage me, and told me that he deemed me worthy of his love. I was overwhelmed by God’s pursuit of me. He drew me closer to him when my thoughts were leading me in the other direction. He let me know that no matter what I think, feel or do, his love will forever be constant. Because of this, my heart burns for him, and I desire to read my bible because I want to know more about my loving creator. I am not deserving of the sweet love that my Father continues to lavish upon me. My heart is full, and I could burst into tears. I am so unworthy, I try hiding from him when I think I have done something he is not proud of. 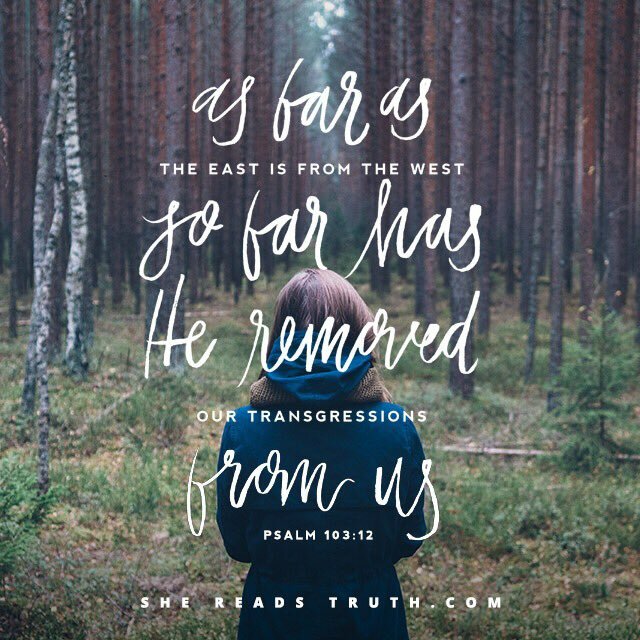 Instead of letting me go and accusing me like humans do, He chases after me, tells me that transformation is a lifetime process, and he will be with me through it. I don’t have to be perfect, I’ll fall sometimes (more times than I want to, but the Father’s arms are always open to hold and forgive me). I’m encouraging you today to freshly believe in God’s love and faithfulness. Know that no matter how many times you fall, he is always ready to pick you up. Don’t be afraid and hide when you do something that displeases God. He won’t accuse you, he’ll correct you in love instead. The devil wants to make you feel condemned, ashamed and isolated, but don’t fall into his trap. Confess your sins to God and a trustworthy friend, so you receive the freedom that was bought for you. Walk into this week boldly! Give the devil a run for his money, let him know that he tried it, but he lost as usual. #SmilelikeyouknowGod’sgotyou. In all honesty, these words couldn’t have come at a better time. I hope it speaks to someone out there just as it has spoken to me. I’m so glad this spoke to you! Thank you so much for reposting babe, God bless you.